Android device-makers are sending a loud and clear message -- and it's time we all start listening. Look, there's no sugar-coating it anymore: Android upgrades are a big, hot mess. And just when it seemed like they were starting to get better, bam! They're suddenly worse than ever. My latest Android Upgrade Report Card says it all: Outside of Google itself, with its own Pixel and Nexus phones, only one Android manufacturer received a satisfactory grade for its performance with the most recent major Android upgrade -- and even that was a ho-hum "C+" score. Every other phone-maker got a "D" or more frequently an "F" for its efforts getting the Android 7.0 Nougat software into the hands of its highest paying customers. That, to put it mildly, is insane. Pretty much every manufacturer did meaningfully worse with this upgrade than they did with last year's Android 6.0 Marshmallow rollout -- despite the fact that Google put out a preview version all the way back in March and gave the companies an extra 36 days with the software ahead of its release. Google is doing more than ever to help encourage timely upgrades, in other words -- and yet the manufacturers are doing worse than ever at following through and delivering them. Something doesn't add up. But much as it may seem like a paradox, this situation actually makes a lot of sense. And the new extreme we're seeing with Nougat now makes one thing painfully clear. The underlying problem with Android upgrades isn't anything technical. It's the fact that the companies making and selling Android phones have no real motivation to care about high-quality post-sales support and to make timely, ongoing upgrades a priority. It's a harsh reality to consider, I realize. But stick with me for a minute, and you'll see what I mean. Most phone manufacturers make their money by selling phones -- right? And so not surprisingly, selling phones remains their primary focus. Providing timely updates takes a fair amount of effort and doesn't directly put dollars into the company coffers. Google, on the other hand, makes its money by encouraging you to spend time using the internet and thus its various web-based services. It isn't looking to stay afloat by selling hardware; it's looking to make the Android experience as good as possible so you'll use your device as much as possible (which in turn means you'll provide more data that'll let Google show you more and better-targeted ads throughout the web). A company like Samsung, in contrast, stands to gain from a different kind of upgrade -- specifically, from convincing you to upgrade your hardware as often as possible. Providing fast and frequent OS updates not only doesn't help to achieve that goal; in a way, it works directly against it. Now, there's certainly an argument to be made that providing timely ongoing software upgrades and excellent post-sales support could be a point of differentiation -- a mark that would set an Android manufacturer apart from the pack and give people a reason to keep buying its products. That's an argument I've made numerous times over the years, and it's one that I genuinely still believe has merit. But the realities of the Android ecosystem make it extraordinarily difficult to achieve success with that strategy -- unless, of course, you're Google. Motorola tried it back in its (ahem, Google-owned) glory days. Despite its near-universal critical praise, the company struggled financially, sold the ship to Lenovo -- and, well, you know. HTC tried to make post-sales support a priority, too, albeit on a less ambitious level. It's still trying harder than most -- but its own financial hardships and accompanying drop in upgrade performance this year speak volumes about the results. If current trends continue, HTC may truly become the next Motorola of Android, in more ways than one. Does that mean the strategy itself is flawed? Not really. Remember, support promises aside, Motorola and HTC also both made spectacular smartphones in their recent heydays -- phones that were among the most favorably reviewed devices of their respective years. That, too, wasn't enough. What these companies offered in terms of quality and experience was almost irrelevant -- because they couldn't come close to matching the carrier placement and marketing power a company like Samsung possesses. Most mainstream phone-buyers never even knew what Moto or HTC were doing or how it differed from Samsung's ubiquitous model. And there's the rub. For all the well-earned accolades and goodwill among enthusiasts, making the effort to provide exceptional post-sales support just doesn't seem to pay off from a smaller Android device-maker's perspective. Neither Motorola nor HTC was rewarded with success that justified the time or resources it poured into the process. Samsung, meanwhile, is selling plenty of phones with its "upgrades as an afterthought" standard -- so as long as customers keep accepting that subpar post-sales treatment, it has no real motivation to step up its efforts. In a way, this quagmire was all but inevitable. From the get-go, Google explicitly made the decision to make Android open source and give manufacturers (as well as carriers) the opportunity to shape and control it -- because that very approach is what convinced so many players to get on board with the platform early on. 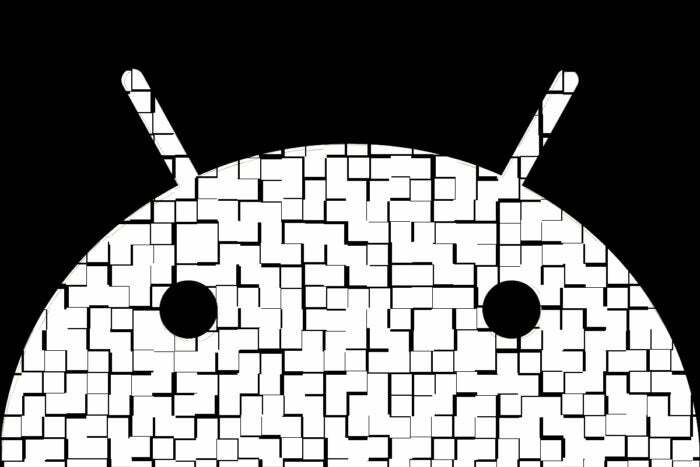 If it hadn't allowed companies that freedom, Android almost certainly wouldn't have gained the momentum it needed to become such a powerful force in the global mobile market. The reality we face now with upgrades is a direct result of those early decisions. And sadly, it's becoming increasingly clear that making it easier for manufacturers to provide timely rollouts isn't going to make things better -- because the lackluster performance we're seeing from these companies isn't about logistics. It's about incentive. And that's something far more challenging to change. Part 2: What's the answer to Android's upgrade problem?